Forget whatever you’ve heard about government procurement being risk-averse and slow to change. There’s a new conversation happening – and the Homeland Security Department’s Soraya Correa and Luke McCormack are helping to lead it. On the heels of DHS Secretary’s Jeh Johnson’s Unity of Effort initiative outlined in April 2014 to address issues like resource allocation in a more inclusive, transparent way, both Correa and McCormack have been lending their voices and vision to the federal effort. “It’s about better planning, more effective discussions with both industry – and our customers – so we can make sure we are coming up with the right solutions,” says Correa, DHS’ chief procurement officer. Correa’s partnership with McCormack, DHS’ chief information officer, is integral to making that happen. “We’re partnering extensively, and leading by example – not only for our own staffs, which is important, but across our community – so we can tackle mission essential systems at a very early stage and ensure we think through exactly what we need in an end state,” McCormack says. Much of those needs center on a growing demand for agile development. “We are really entering into what I would call a transformative stage – using tools to rapidly develop business-purpose-built applications to align with operational mission requirements, which is absolutely essential going forward,” McCormack says, citing DHS’ new contract vehicle, Flexible Agile Support for the Homeland. Its success (and future efforts of its kind) will come down to the groundwork that Correa and McCormack are helping to put in place. That groundwork has some big expectations: It’s time to get specific on contract requirements, and fuel greater discussion with industry on ways to move the needle. Correa knows all about both. “Having grown up as a contracting officer in the federal government, I recognize over time our culture has become somewhat risk-averse – this is across government, not necessarily unique to DHS,” Correa says. 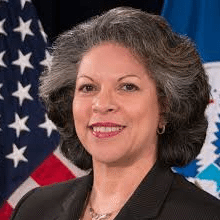 In addition, the reality of contracts not always matching requirements is something Correa, who’s served with DHS since its inception (including as head of contracting within two major component agencies), is looking to change. Plus, in what may be music to industry’s ears, Correa has this to say about the often-thorny issue of LPTAs. “There is a time and a place for LPTA,” Correa says, “but LPTA is not what you use for everything. New approaches to acquisition have been Correa’s focus since taking on her current role in January 2015. The cornerstone of those efforts spans a series of initiatives, industry engagement events and conversations, collectively known as Acquisition Innovations in Motion. “It’s about bringing together the elements that support the acquisition program to meet the ‘Unity of Effort’ initiative of the Secretary [Jeh Johnson],” Correa says. “It’s about promoting communications with industry – and all our stakeholders – while improving our business processes,” she adds. The establishment of Procurement Innovation Labs, under the AIiM umbrella, has been another step in that direction. The PIL is a virtual lab that experiments with new practices for bolstering efficiencies in the procurement process. DHS leaders monitor the progress through interviews with key participants. Lessons learned are then disseminated through webinars, or “learning cafes,” which have attracted upward of 200 DHS employees at any given session. Lessons learned from those sessions, McCormack says, speak to a key theme. “We need to take on risk in order to avoid risk,” he says. Virtual labs, he adds, provide that opportunity. So far, that approach has shown promise. “We’ve already implemented processes to improve our closeout procedures – we’ve had several solicitations where we’ve significantly simplified the proposal preparation instruction,” Correa says. PILs have also garnered attention at the executive level; the White House recently recognized the effectiveness of PILs in its decision to establish Acquisition Innovation Labs across all federal agencies. In addition to virtual labs, DHS holds regular Reverse Industry Day training events. “It’s another way we try to capture how we can improve our processes – we actually have industry come in and talk to us about their thought processes, how they bring innovations to the table and what we can do to improve our approach as well,” Correa says. On the heels of those efforts, Correa and McCormack have their eye on future DHS IT priorities: Talent management and expansion; planning maturity; IT delivery; operational excellence; security; and innovation. 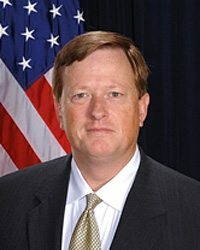 “This is where we work closely with the Office of the Chief Procurement Officer, and Science and Technology – on everything from technology that is coming out all the way up to the first and second stage delivery, helping that community develop capabilities and frame them in a way that will suit Homeland Security needs,” McCormack says. In the end, agile may just win the day. Thank you for this in-depth article. Industry applauds the type of change, maturity and readiness these two leaders are advocating. As a former DHS employee, I am impressed with Ms. Correa and Mr. McCormack’s mindset of urgency to support DHS’ important missions, as there are often lives at stake. The approach mentioned in this story will result in driving better competition, which allows for cost savings for the government and lower risk. This effort is much needed as industry seeks to help DHS keep pace with the best commercial practices. At the 9/7/16 Professional Services Council/Homeland Defense and Security Business Council meeting, Ms. Correa and Mr. McCormack provided additional details on how they are working closely together. They reiterated how they want to take DHS to the next level concerning procurement innovation and technology planning for the future. Streamlining acquisitions with well-written technology requirements will result in saving industry investment dollars in bid efforts. Rapid-turn efforts out of the Procurement Innovation Lab, often involving tech demos, are welcomed news to many. More importantly, together DHS and industry must raise the bar to continually improve contracting and delivery.